People may erroneously believe that America's history begins with the 18th-century Revolutionary War, or just prior, stretching further back to the Pilgrims settling Plymouth Colony in the early 17th century. While those eras do mark some of the earliest and most climactic moments in American history, many folks are unaware that a number of older, even prehistoric, civilizations thrived on our land well before those early settlers arrived -- we're talking some 900 years prior. Here, we've dug deep into North America's past to unearth some of America's oldest places, which can still be visited today. Archeological excavations have shown that their town was quite sophisticated, with some 500 thatched-roof homes built to surround a number of plazas. Other finds indicate that a number of flat-topped temples and burial mounds, religious symbols discovered on pottery, copper and stones, provide evidence of occasional human sacrifices. 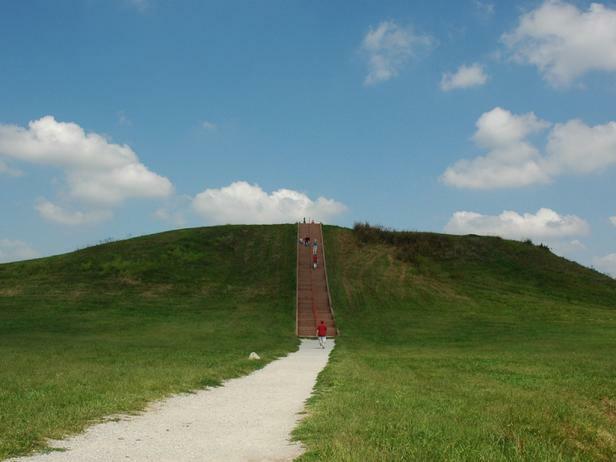 The historic site is located in southern Illinois, and features an interpretive center, guided tours and educational programs. The Native Americans known as the Chumash people inhabited swaths of southern and central coastal California during prehistoric times; some of their settlements are believed to date back 10,000 years or more. 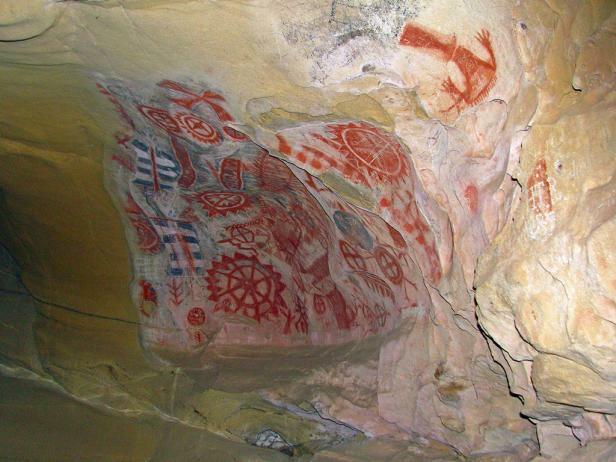 Evidence of their culture can be seen at Chumash Painted Cave State Historic Park (11 miles northwest of Santa Barbara), home to a series of rock paintings dating back 1,000 years and believed to depict the Chumash cosmology, though their actual meaning is unknown. A steep path leads to the cave, and can be reached on foot; visitors can peer into the small and shallow sandstone cave and see the abstract drawings covering the walls. Folks looking to document the drawings up close may be disappointed: The cave entrance is protected by an iron grill and flash photography is prohibited. Still, visitors are able to clearly see and film or photograph (without flash!) the paintings from this vantage point, particularly with the help of a flashlight. Built atop a 367-foot sandstone bluff 60 miles west of Albuquerque, N.M., in 1150 A.D., Acoma has the distinction of being North America's oldest continuously inhabited community. The pueblo encompasses more than 430,000 acres, and while more than 4,800 people associate themselves as tribe members, only 30 individuals officially still call the mesa top home. Similar to the cliff dwellings of the Anasazi Indians, the pueblo's 250 dwellings can only be reached via ladder, and do not have electricity, running water or sewage. Three villages comprise the pueblo: Sky City (Old Acoma), Acomita and McCartys. 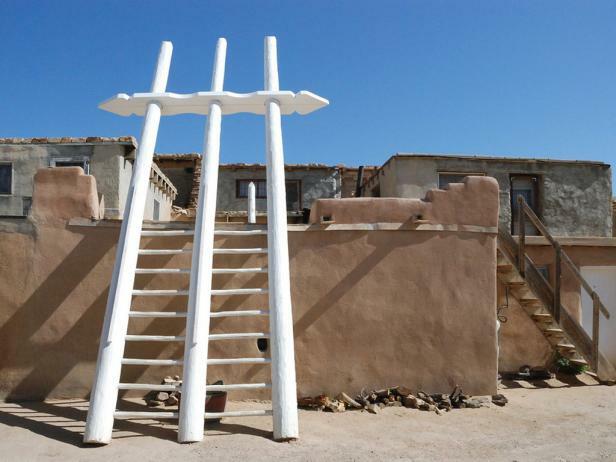 Guided tours of Old Acoma depart from the Sky City Cultural Center. Plan to spend time in the cultural center and Haak'u Museum, where visitors can watch films about the history and culture of Acoma, as well as purchase traditional pottery. You'll be in luck if you've worked up an appetite on your tour: The center's cafe dishes up tasty traditional fare, like green chile stew and fry bread. 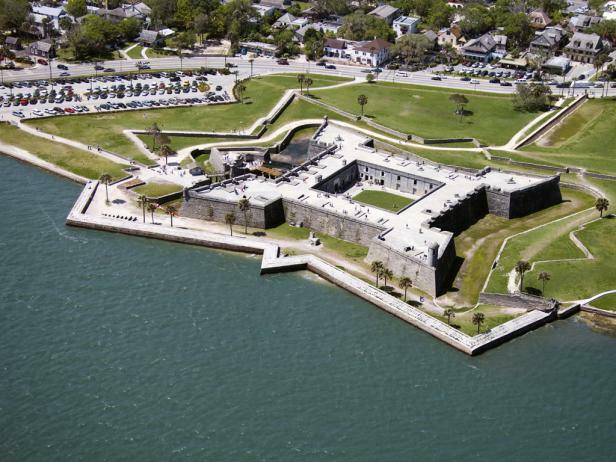 Billed as America's oldest city, St. Augustine was founded by the Spanish in 1565, when the explorer Don Pedro Menendez de Aviles landed on the shores and named them after the Roman saint, Augustine. 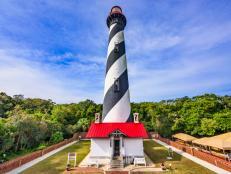 Though the Timucua Indians had previously settled the city, St. Augustine became the first European settlement, and would later be ruled by Britain and finally the United States. Today, the city is a popular vacation destination and home to nearly 13,000 residents. Many of the historic buildings and spaces still stand and can be visited, including the Plaza de la Constitucion, the historic city gate and the Castillo de San Marcos, built in 1672. It is also possible to see the spot where Aviles is believed to have come ashore, near the Fountain of Youth Archaeological Park, just north of the Castillo de San Marcos. For an overview of historic St. Augustine, consider joining one of the city's many tours, such as the Old Town Trolley historic tours. In 1607, a full 13 years before Plymouth Colony was established, Santa Fe was settled by the Spanish with a smattering of dwellings. Still, it's known that Pueblo Indians had inhabited the region prior to the Europeans. 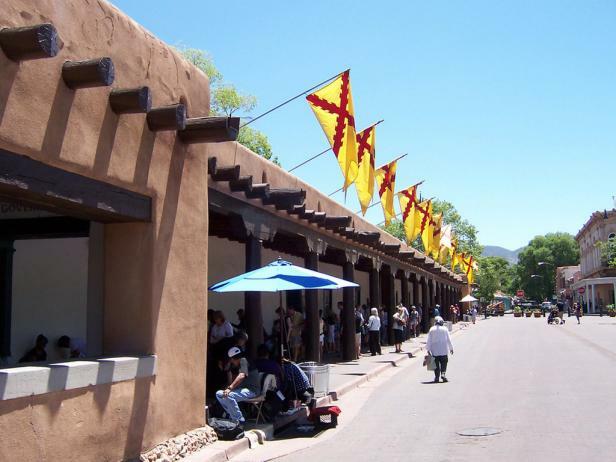 The city grew more established by 1609 when Don Pedro de Peralta was named governor-general, and then declared the town the New Mexico capital in 1610, making Santa Fe the oldest capital city in the United States. Today, Santa Fe also lays claim to having the oldest public building in America, the Palace of the Governors, built in 1610, as well as the oldest community celebration, the Santa Fe Fiesta, which began in 1712. Today, visitors can explore most of the historic city on foot, meandering through winding streets lined with unique, adobe-style buildings, art galleries and boutique shops, as well as museums and historic sites. 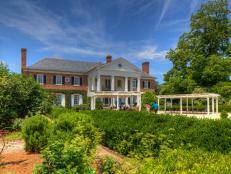 Lost Girl Jen shares her favorite spots in the nation's oldest city. 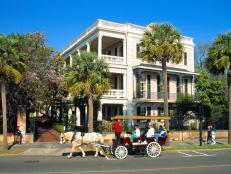 View out top picks for historic homes and gardens in Charleston. 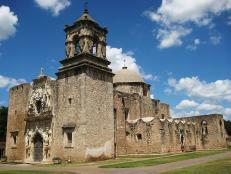 From the Alamo to JFK's assassination spot, see Texas' historic sites. 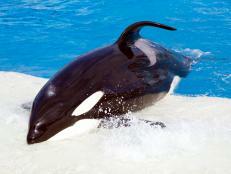 Orlando's greatest spring break attractions. 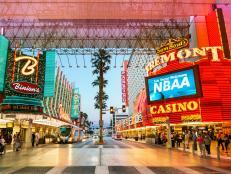 Enjoy Vegas on a budget by taking advantage of the deals at hotels, restaurants and even spring-break-specific specials around Sin City. 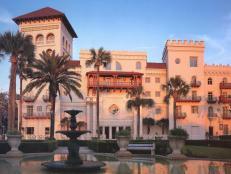 Rinse off that beach bum and enjoys these other Florida activities. 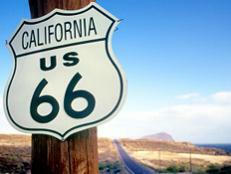 A weekend road trip along Route 66 promises encounters with an abundance of restaurants, kitschy attractions, photo ops, gift shops and more. Charleston is home to charming bed and breakfasts, boutique shopping and world-class restaurants; it's a perfect stateside getaway for a long weekend. 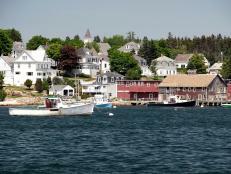 Take a road trip, and explore the 7 Wonders of New England. 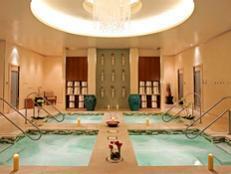 From exotic cars to personal butlers, Vegas has every extravagance money can buy.